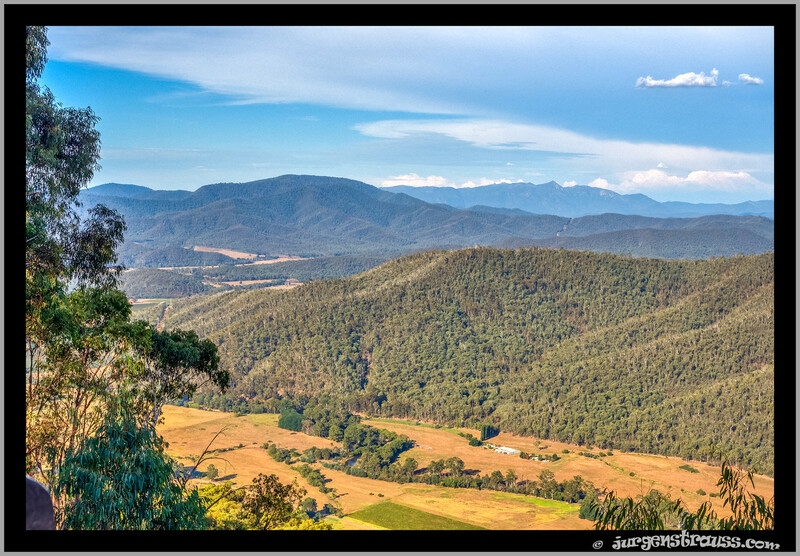 Power's Lookout offers an excellent vantage point, stunning views over the King Valley and across to the Victorian High Country and was once the haunt of the 'Gentlemen Bushranger' Harry Power. Harry was one of Victoria's most notorious bushrangers, committing over 30 crimes. He was the bushranger who taught Ned Kelly! The teenage Ned Kelly partnered Power on several hold-ups, and as his apprentice learnt how to escape the police and survive in the bush. Harry Power was an excellent bushman and horseman, often eluding capture by disappearing into rugged terrain. He had several well-hidden camps scattered around the wild hill country that was his domain, including one near Power's lookout. 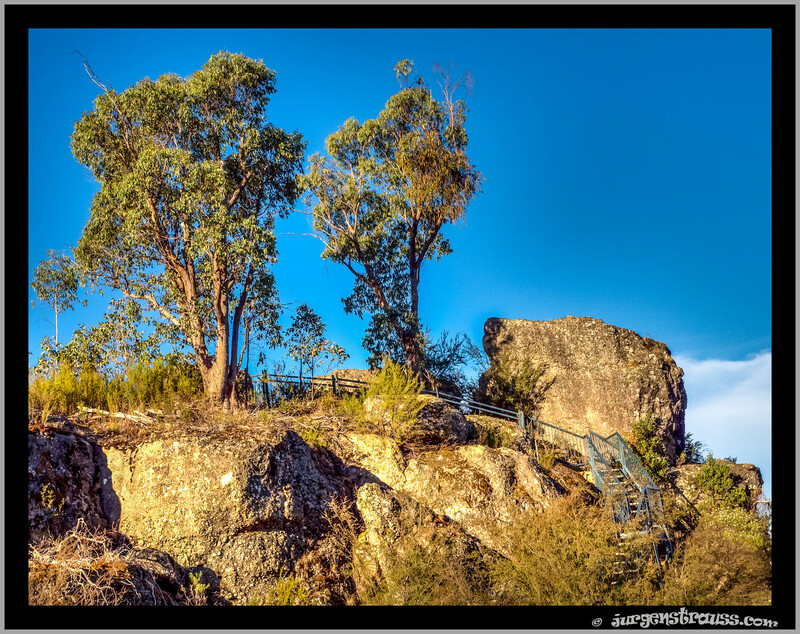 Perched high above the valley, Power's Lookout has uninterrupted views in 3 directions, providing an excellent vantage point for someone on the run. On this Sunday afternoon, it provided a stunning vantage point for the photographer! A £500 reward led to Harry's capture at Power's lookout on a dark and stormy night in 1870. Photographed with: Olympus OM-D E-M5 Mark II, with an Olympus M.Zuiko Digital ED 12-40 mm f2.8 lens set at 20mm (40 mm equivalent in 35mm language), f5.6, ISO 200 - with an exposure bracket of +3 EV and -3 EV to give a series of 7 shots that were combined with Photoshop into a single HDR image.